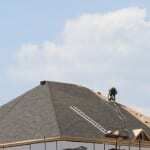 We are prepared to serve as your preferred roofers at your home or business in Newmarket. When you need roofers to complete a repair, add a new roof, or help with your new home construction, you can’t rely on just anyone to do the job right. At Slippery Slope Roofing, our team has over 50 years of combined experience providing high-quality roofing services for home and business owners in Newmarket, Ontario, and we’ll be happy to serve as your roofers of choice, no matter how big or small your project may be. When you choose to work with us at Slippery Slope Roofing, you will find that we set ourselves apart by only working on one job at a time and providing each of our customers with the special attention they deserve. Not only are we committed to doing the job right the first time, but we never want you to feel like we weren’t available to assist you at any point during the job. As professional roofers, we know you’ll see a difference when you work with us because we won’t be distracted by other roofing jobs that may be on the schedule. We are fully insured with the WSIB, offer competitive pricing on all our roofing jobs, and will complete your roofing project in a timely manner. If you would like to know more about our services and how we can serve as your preferred roofers at your home or business, contact us at Slippery Slope Roofing today for more information or to schedule an estimate. When you work with us, you can expect only the best. At Slippery Slope Roofing, our roofers proudly serve Newmarket, Barrie, Orillia, Bradford, Alliston, Midhurst, Cookstown, Beeton, Innisfil, Angus, Collingwood, Wasaga Beach, Oro-Medonte, Midland, New Tecumseth, Clearview, Bradford, Essa, Stayner, Springwater, and surrounding areas of Ontario.